PHOTO COURTESY SONY PICTURES CLASSICS Brady Jandreau in "The Rider." 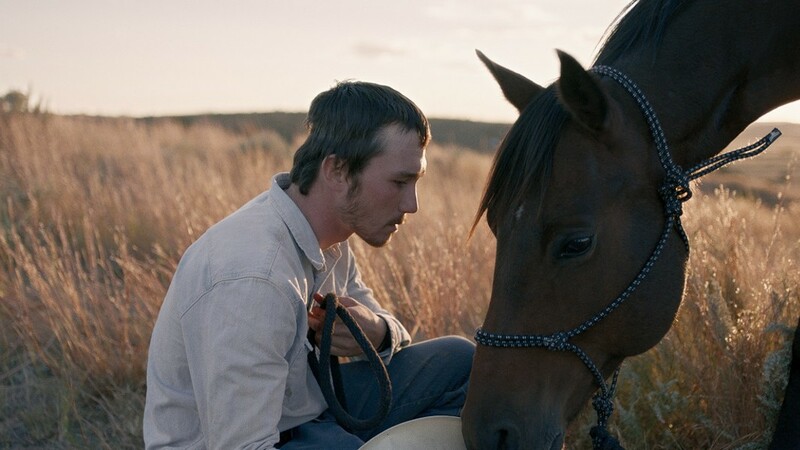 A mournful, elegiac ode to the American Midwest, Chloé Zhao's "The Rider," blends narrative and documentary as it observes the life of Brady Blackburn (Brady Jandreau, playing a loosely fictionalized version of himself), a rodeo rider recovering from a near-fatal head injury after being thrown from a bull. His doctors warn him that continuing to ride might kill him, but the rodeo is the one thing that gives his life meaning, and he can't bring himself to give it up. Brady lives on the South Dakota Pine Ridge Reservation with his father (Tim Jandreau) and autistic younger sister Lilly (Lilly Jandreau), who each exert pressures on him in their own way. He's protective and unyieldingly patient around Lilly; she seems one of the few people he's able to let his guard down around. Meanwhile, his father pushes him to find a new way to make himself useful. The effects of Brady's injury manifest in an unusual way: his hand tightens up unpredictably, and he finds himself literally unable to let go of things. But eventually he's hired to break in a new horse, and there are lovely sequences where Zhao lets us watch him work. We see his natural way with horses, and the freedom he feels in the saddle. Some of the film's most emotional scenes come during Brady's visits with his best friend Lane (Lane Scott), another rider left paralyzed and unable to speak after suffering his own accident. Their scenes bring a piercing authenticity to a story about the elemental conflict that arises when the very thing that makes a person who they are might also be their undoing.